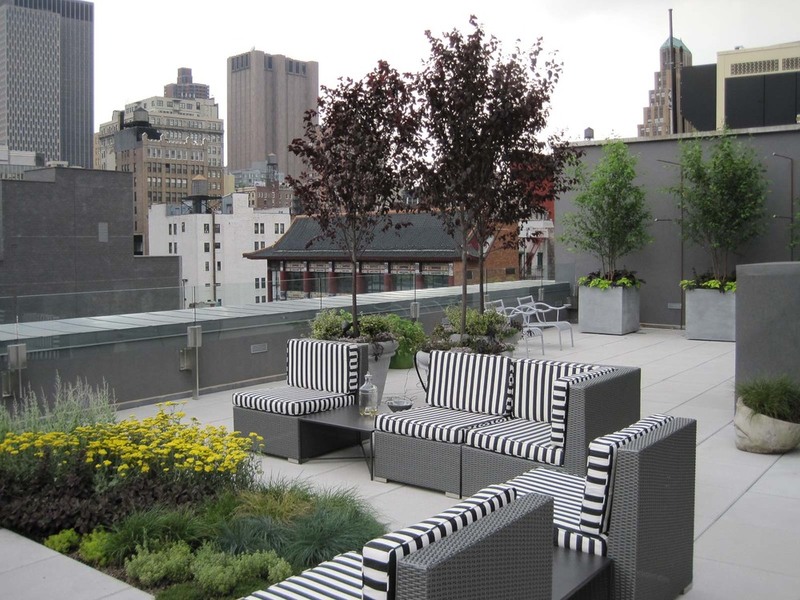 RFR Realty assembled a unique design team to transform a rental building into luxury condominiums in New York City’s upper east side. 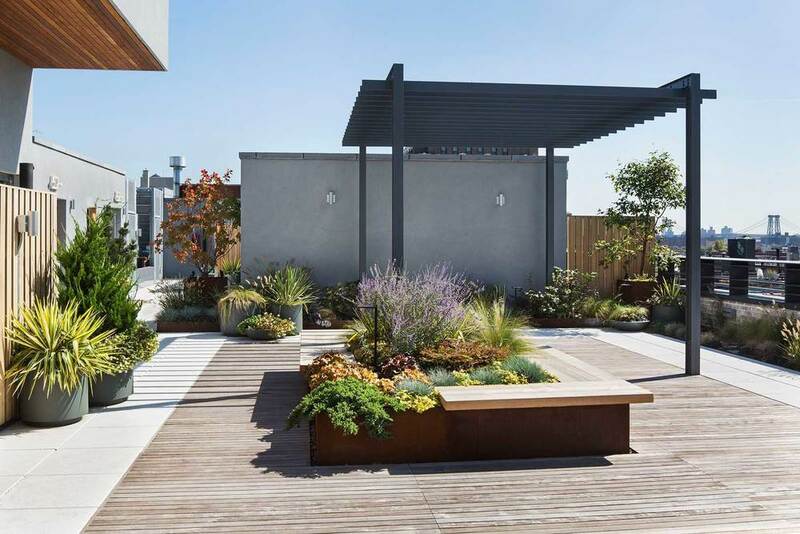 This project’s courtyard, with reflecting pool, is the centerpiece of the garden, providing desirable views and a private outdoor space for residents. 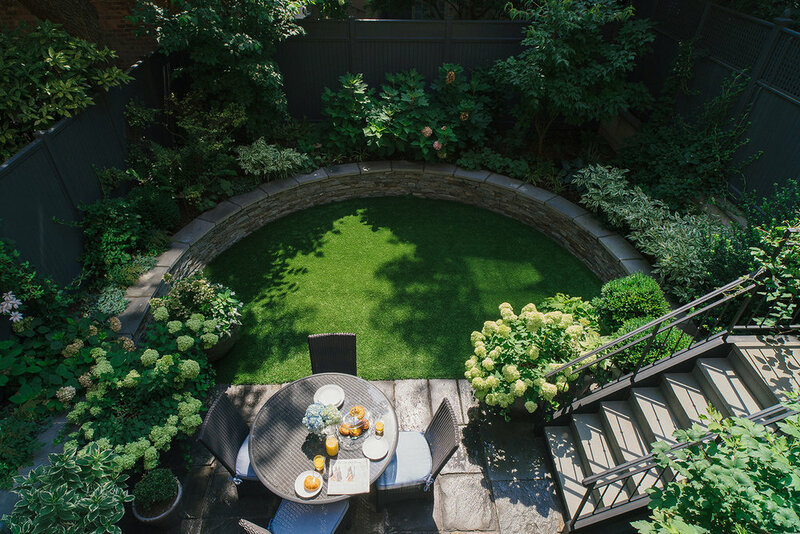 Installed by: Town & Gardens, Ltd.
A Brooklyn family dreamt of a lush, green garden to come home to, an escape from life in the city. 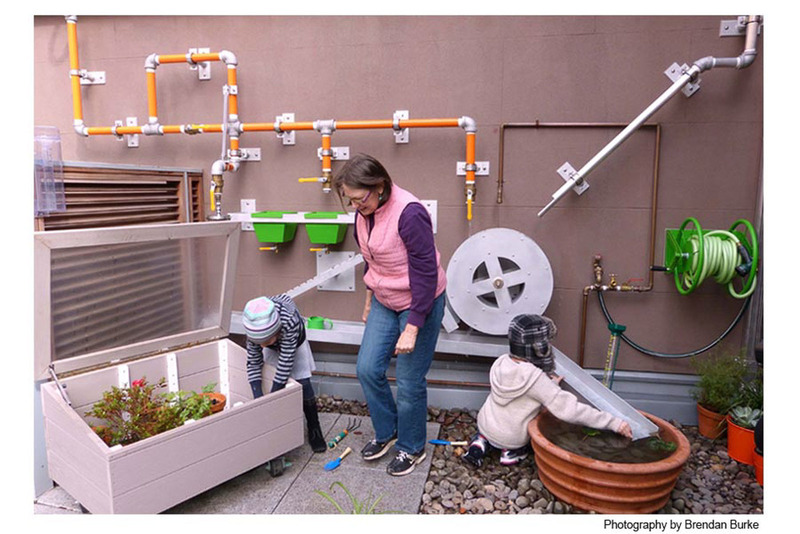 A cozy backyard garden and a greenroof just outside the baby's bedroom, brings nature inside the home. 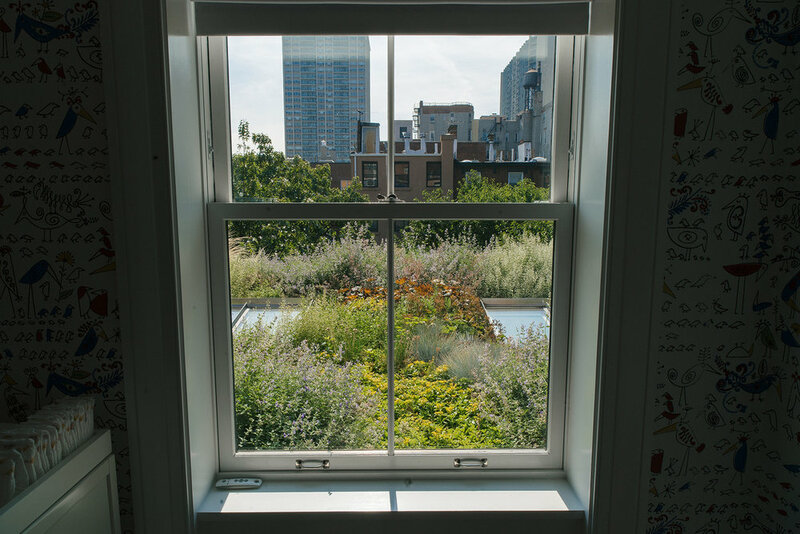 Birds and bugs flit and fly outside the windows. 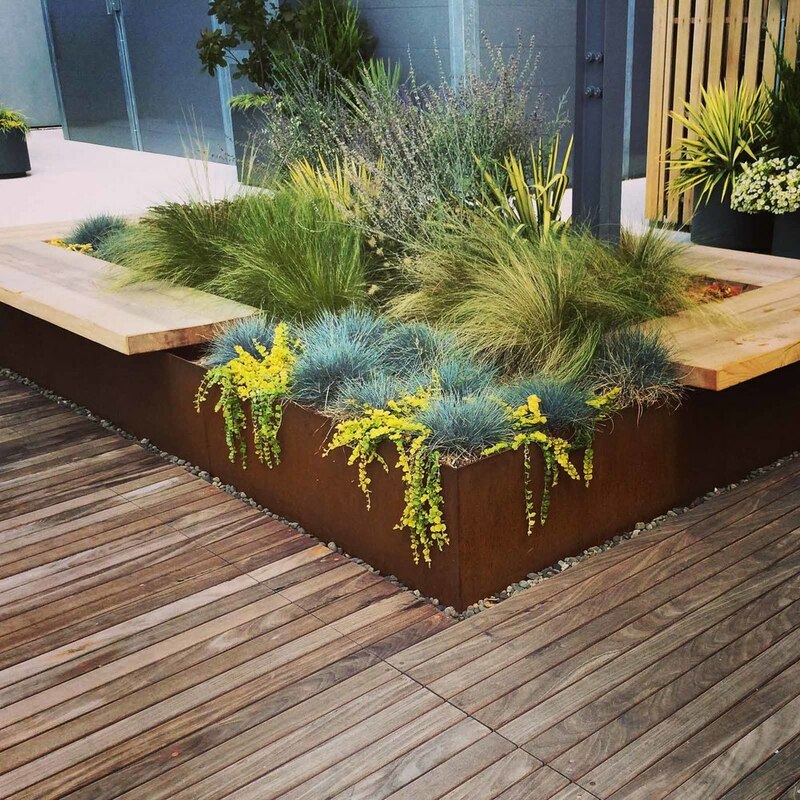 Mexican feather grass sways in the breeze. 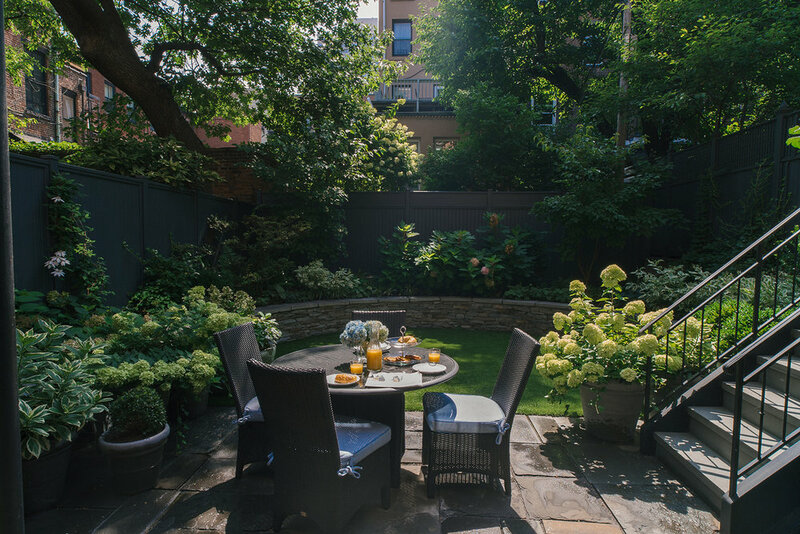 things feel calmer and quieter. 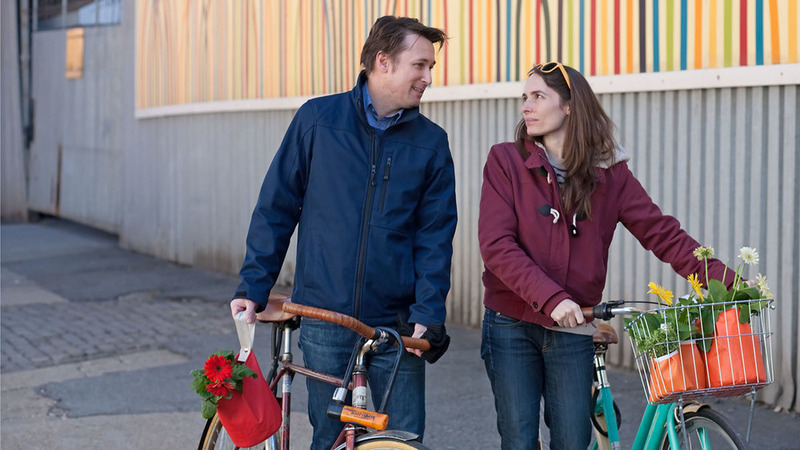 the sounds of the city are muffled. 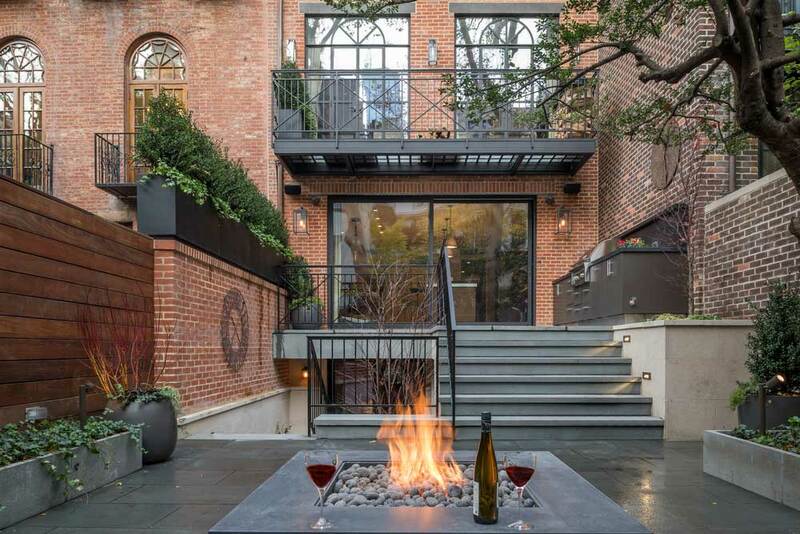 An extensive renovation transformed this historic Manhattan townhouse both inside and out. 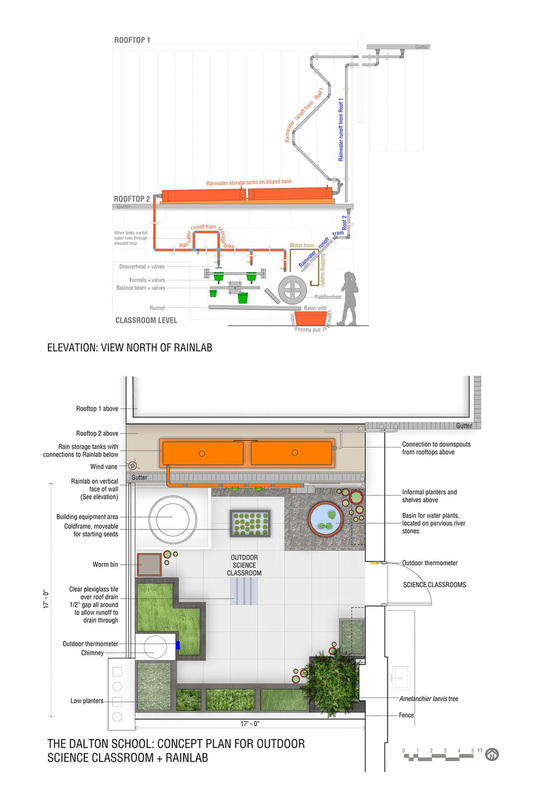 In the rear, a new staircase connects the house to the rear garden, maximizing the space for social events. 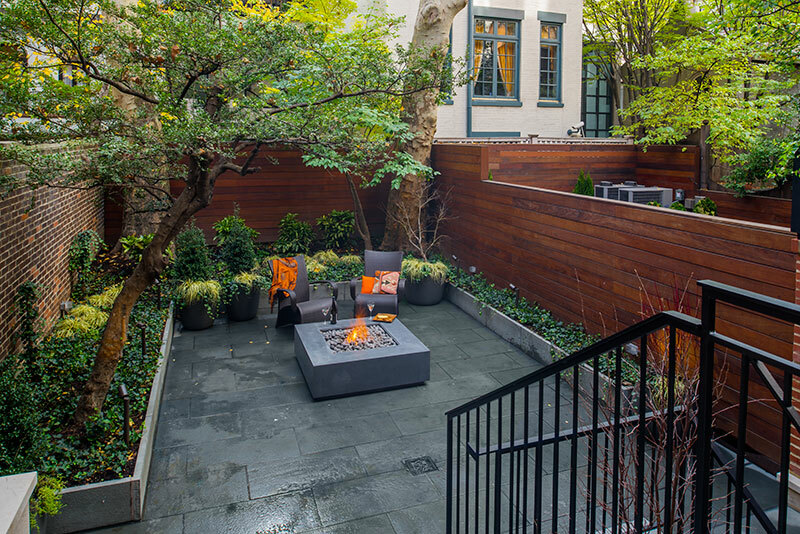 A new outdoor grilling area was also added. 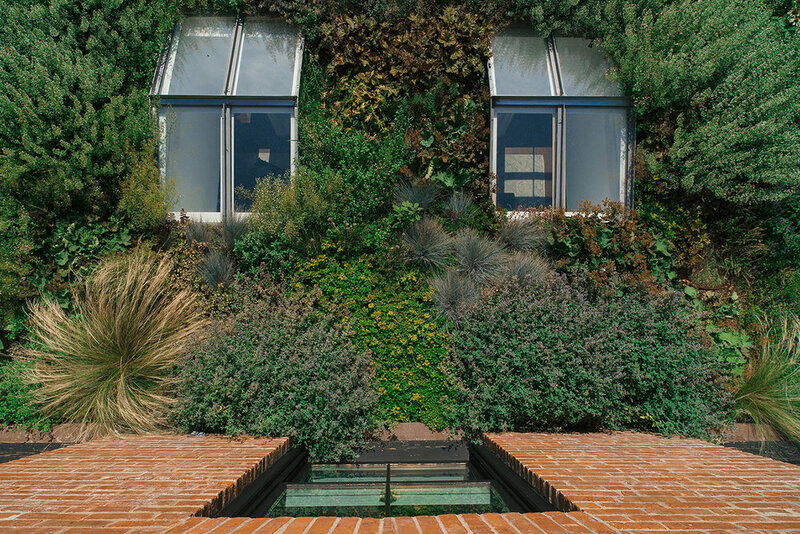 Terraces and balconies extend off the rear building facade as well, incorporating evergreen plantings for year round green. 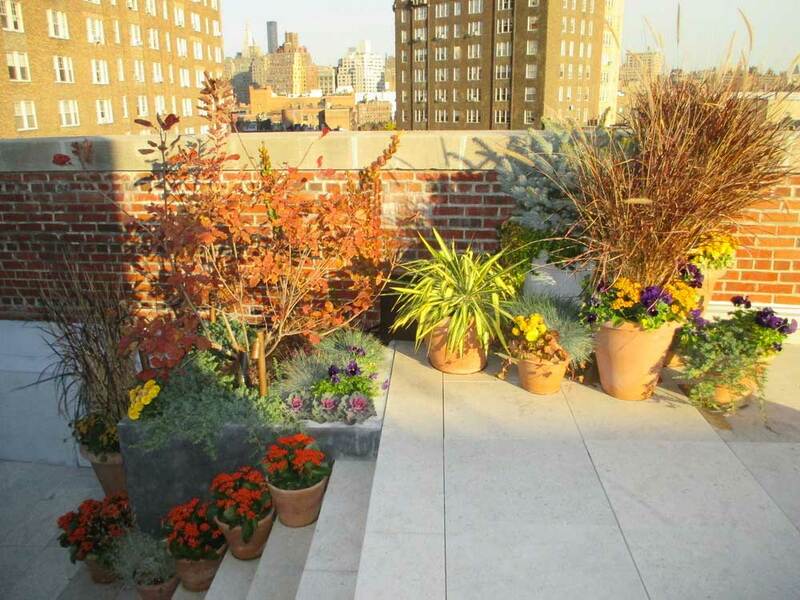 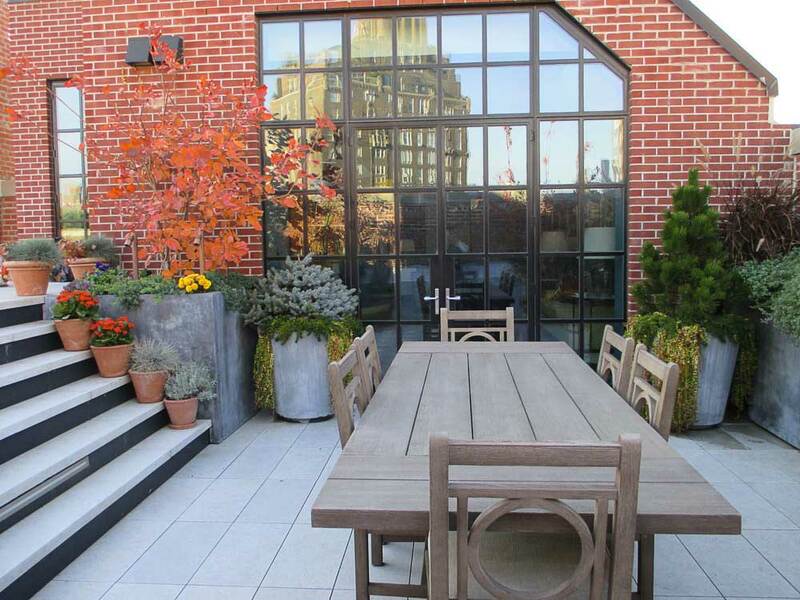 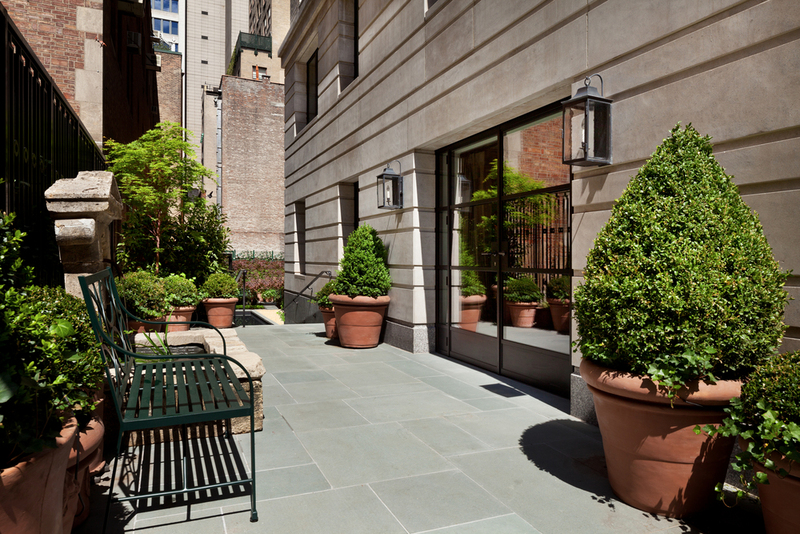 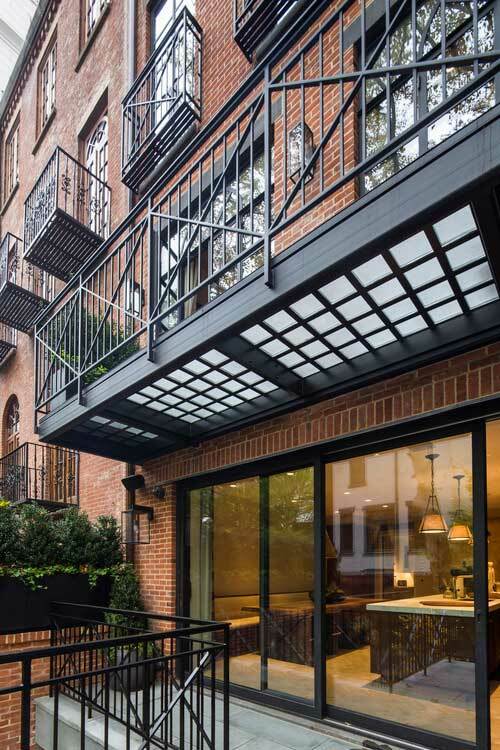 This open terrace in Manhattan, was customized to meet the client’s needs. 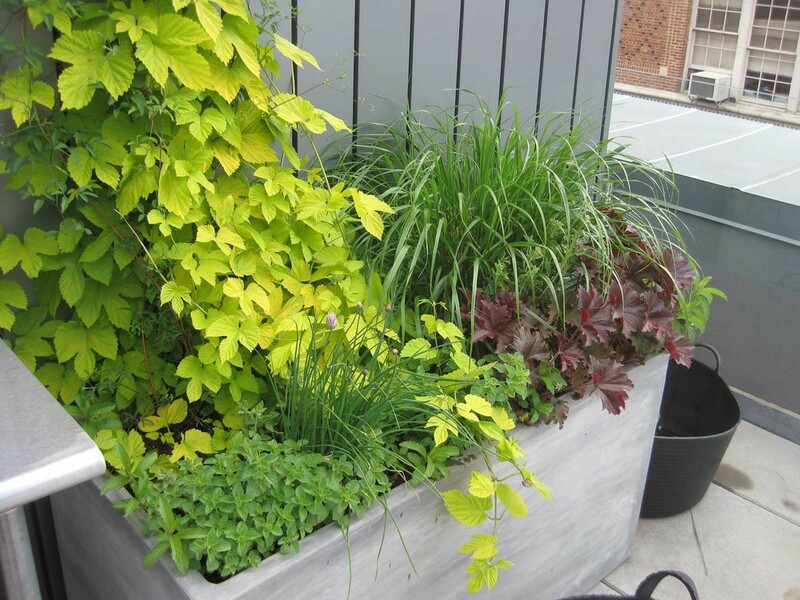 New zinc planters flank the stairs and disguise unsightly parapets. 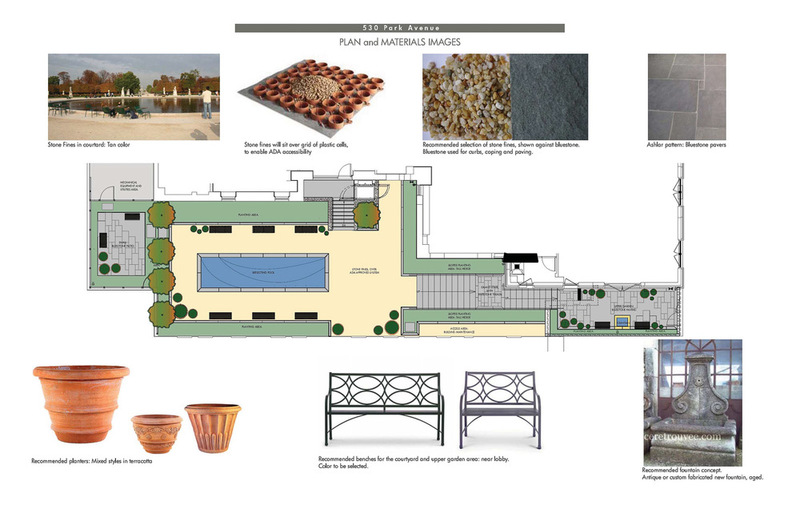 The terrace is filled with lush plantings and a new pergola was added, with approvals procured from the Landmarks Preservation Committee. 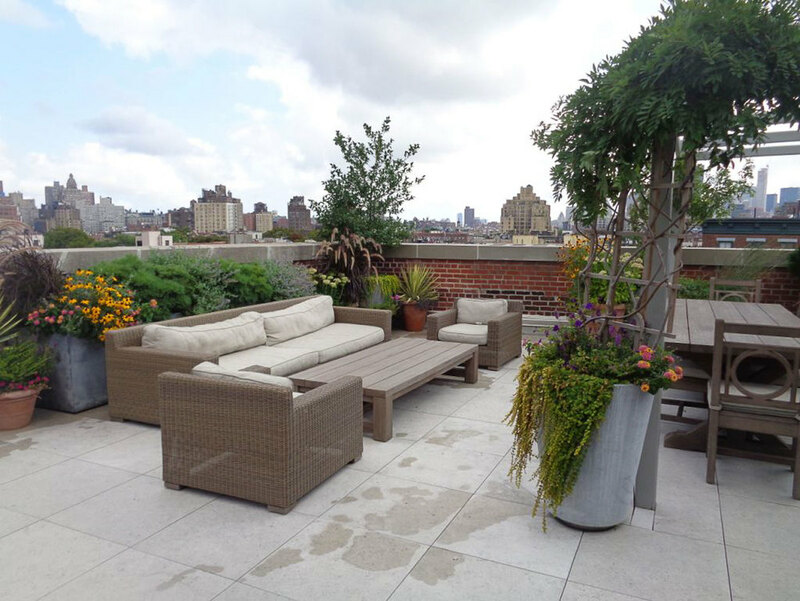 Landscape: Town & Gardens, Ltd.
An L-shaped terrace in Manhattan, was redefined for relaxing and socializing, with ample seating and a miniature greenroof as a conversation piece. 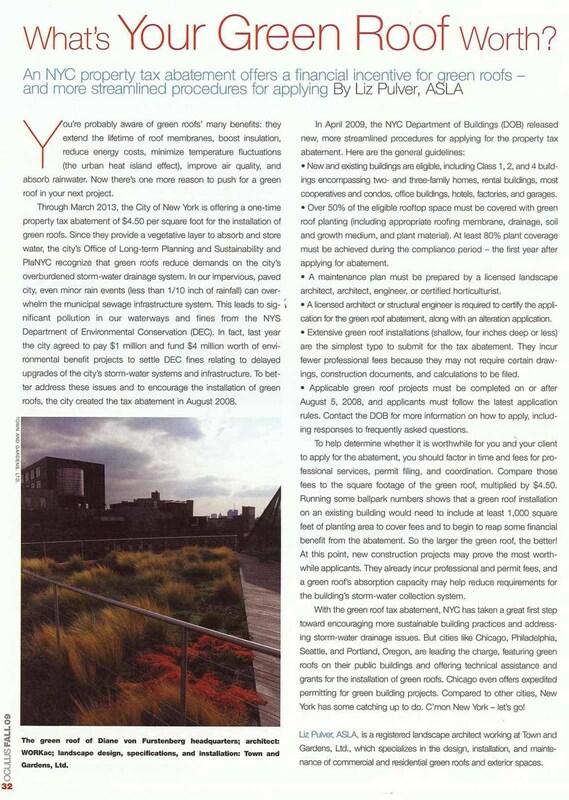 The developers of this LEED Gold Building in Manhattan, incorporated lush outdoor plantings at every opportunity- from private gardens at ground level, to greenroofs on terraces and rooftops. 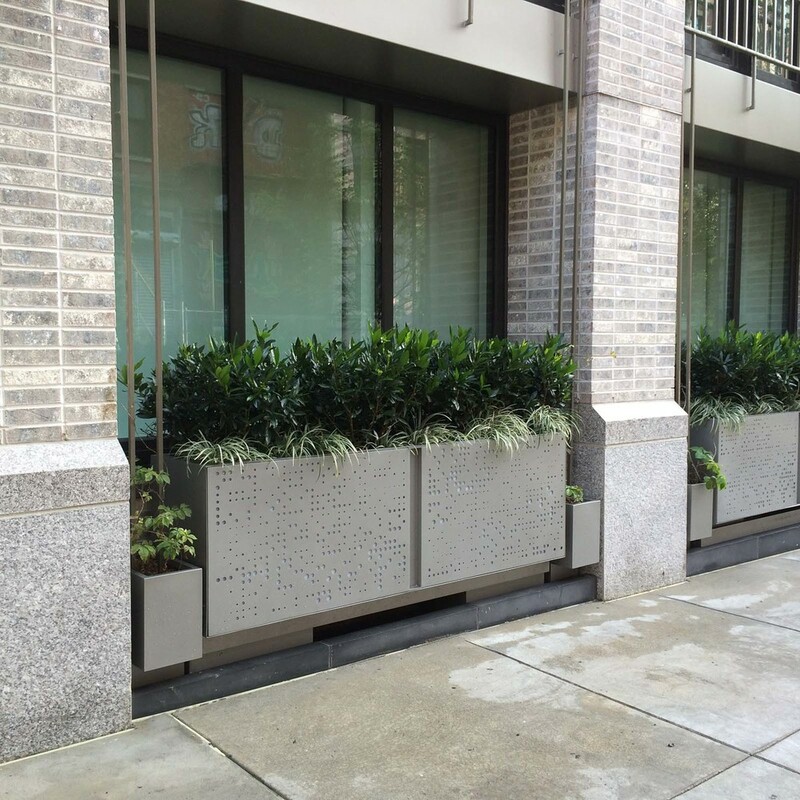 The front of the building was further enhanced with customized planters, lit at night. 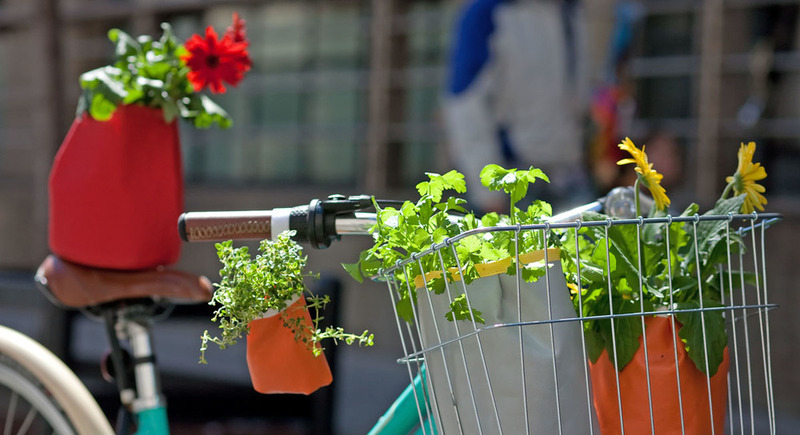 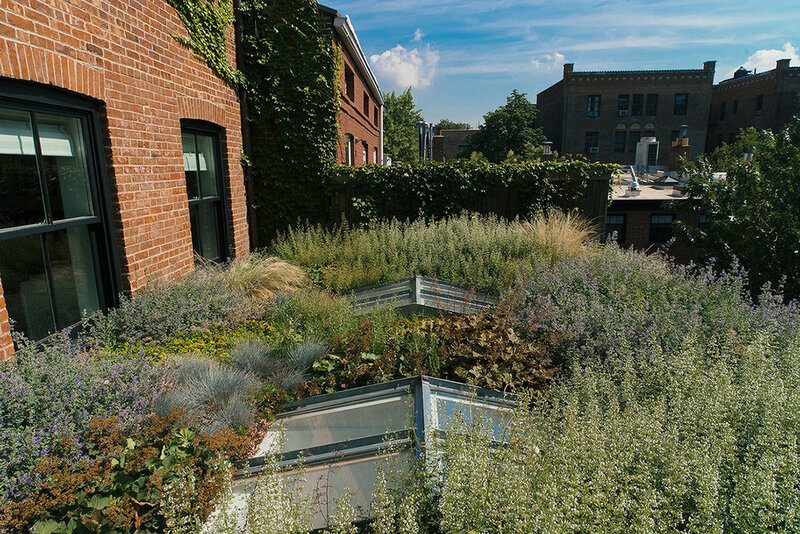 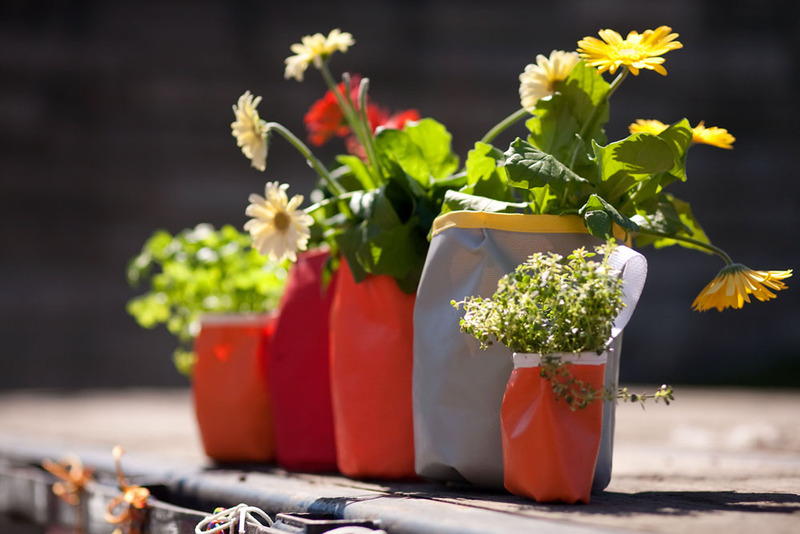 Landscape Contractor: Town & Gardens, Ltd.
A tiny rooftop at an urban elementary school in New York City, was transformed into an outdoor science classroom, incorporating environmental science lessons into the K-3 curriculum. 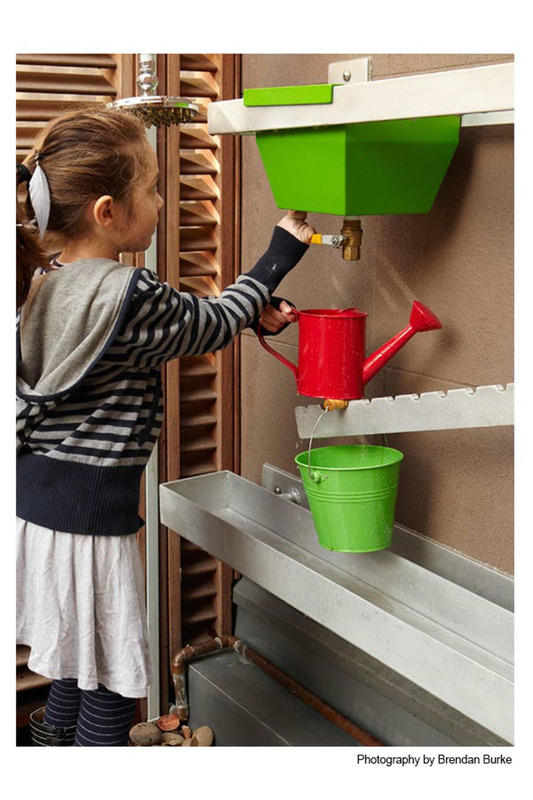 The Rainlab wall sculpture is a kid friendly rain storage device. 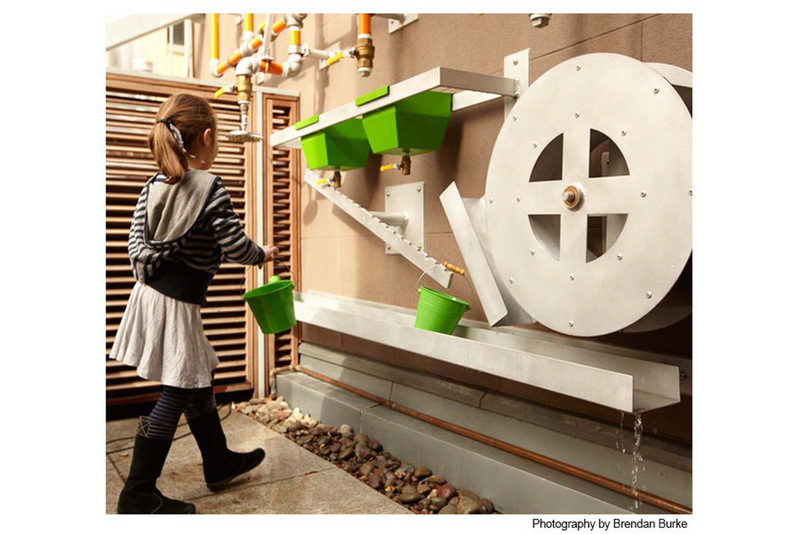 Collected rainwater is used by students to power valves, paddlewheels and pails, to track weather patterns, temperatures and rain events.